Network Marketing Automation - Sponsoring without face-to-face meeting? >> Network Marketing Automation – Sponsoring without a face-to-face meeting? How to Get People to Join Your Business Without Meeting Them Face-to-Face? 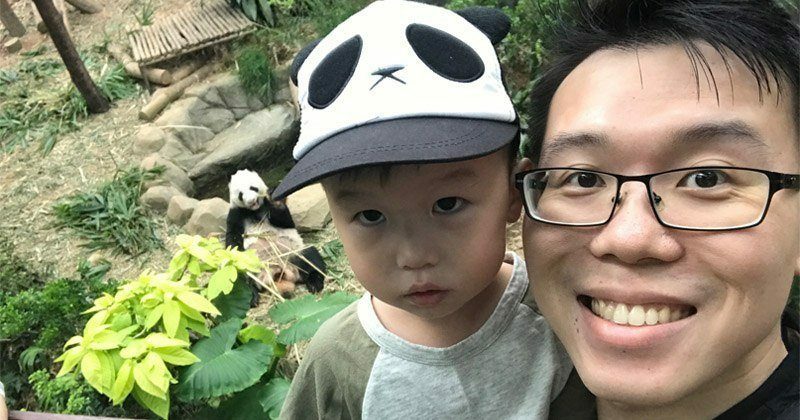 It's a Friday morning, and it's the last week before my son's first day of school, so I thought it would be a great idea to bring him to the zoo (since he love Panda so much, and he has not seen a live panda before). In all honesty, I was trying to get my son to smile for this photo, but he was just too tired for that. Rather, this is about how I managed to invite 5 new people into my business, while I was spending quality time with my family. 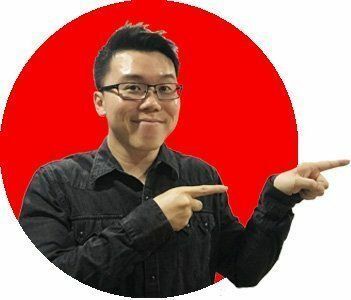 If you don't know who am I yet, I'm an Online Marketing Mentor, and before that, I was a struggling network marketer who almost quit the industry. Before I dive into the meat of this article, let me make you a promise that there is no trickery or fluff. It is pure knowledge and information that you can implement to your network marketing business. And keep an open mind because everything that I am going to share with you will go against every belief you have about network marketing. Also, you might feel lightheaded because of the techie stuff I share, but let me make you a promise that it is not at all difficult to implement, and there is a free boot camp that will guide you through setting it up. But first, I want to congratulate you for landing on this page, because this strategy is only known to the top 1% leaders in the industry. (I know I might be exaggerating, but hear me out and you can decide if I am bluffing). And, the key to Automation is to Build an Automated Sales Funnel (Don't Worry, it sounds complicated, but it is not. I will walk you through it). 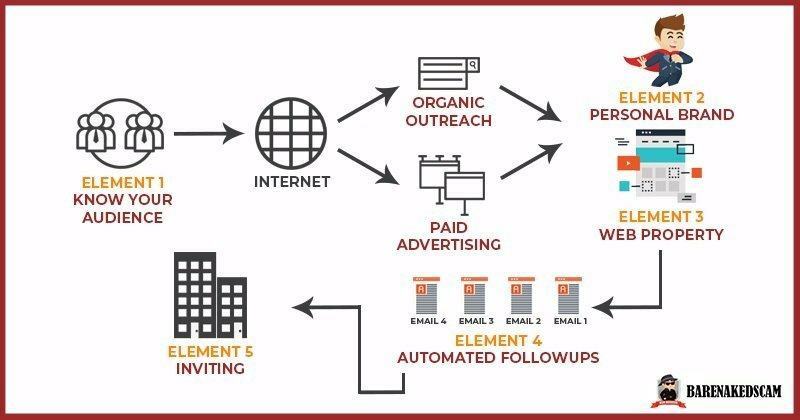 The entire process of building an automated sales funnel has to be done online. There is no other way to do it. You can't be cloning another YOU to do the work, right? Have more time to do what's more important to you. It is unlike the traditional marketing method where everyone within 3 feet is your prospect. In the online space, it is more important than ever to define who your target audience is. It can't be everyone under the sun; otherwise, your marketing efforts will be ineffective and costly. Think about it; I am pretty sure when you join your company, and you started to promote the products and the business opportunity. "How I wish I can have more people (like me) in my organization, things would have been much easier." For me, this was the dream I dreamed about almost every day. So yes, your target audience should be someone like you. In Day 1 of the 10 Day Bootcamp titled "Shotgun Marketing vs. Sniper Marketing," my mentor, will share with you why identifying who your target market is, is the first step to network marketing success. 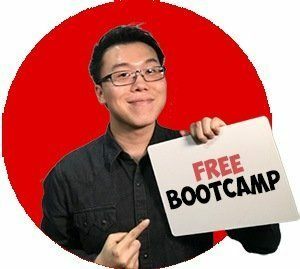 If you are interested in the free Bootcamp, you can click here to join. The key to getting people to join your business is to build a personal brand where people will "like, know and trust YOU." Have you ever bought anything online, and if you did, what made you decide to purchase the product? I am pretty sure one of the factors is Trust. Trusting someone or something online comes in many forms. It could be in the form of a product review, a professional website, a highly engaging advertisement, and many other ways. When they feel your (1) sincerity, and they (2) believe that you have the (3) right attitude towards helping them, they will shower you with love. People join the business, not because of the company; they join the business because of YOU. That's why building a personal brand is an essential step towards automating your business. Your brand has to emit the "trust-able" figure. Web properties are simply your digital assets. In my opinion, the most important digital asset you should own is a blog (your personal website). 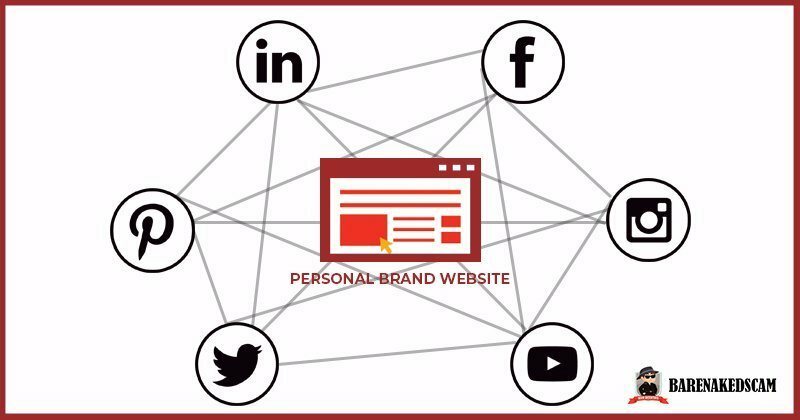 Because all the rest of the web properties (like Facebook, Twitter, YouTube, etc) belong to the relevant platforms... For example, if you have a Facebook Page, that page belongs to Facebook, even though your brand name is on the page. And there are rules, restrictions, and guidelines you have to follow; otherwise, you risk your account closing down. So, with a blog, you have full control of what goes on there, and what doesn't. But first, let me share with you that creating a website is relatively easy, it only takes a few minutes (or hours if you are new to it). Having a personal site is the premise of building an automated sales funnel. Let me dive a little deeper to explain the concept of having a personal website. Having a personal website isn't going to help much unless you have people visiting it. For your website and sales funnel to work, you have to send people to your site through tapping into (or leveraging on) the audiences from the different social media networks or even the search engines. Facebook has been one of the top advertising platforms to grow businesses. In recent years, they are crazy good at understanding their users, and Facebook helps you segregate audiences based on their demographics, all the way down to their interests and behaviors. Many people, especially network marketers, have been using Facebook to grow their business. And there is no reason why you shouldn't start building your business online. In the traditional way of marketing, you have to be physically present (or at least be on a call) with your prospects. And after the meeting, following up with your prospects is a critical step. The prospects will most likely make their decision on the followups and not on the first meeting. I am confident that you are aware of this. And, in each follow-up message, you have to personalize it. And to be more effective, you have to keep (and update) a follow-up schedule. This process takes a lot of time and effort. However, if you bring your business online, you can automate the entire follow-up process. Most importantly, these automated messages can be personalized (if you know how to write them well). In Day 6 of the 10 Day Bootcamp titled "Dating Your Prospects", you will learn how to set up the automated messaging system and to craft highly effective messages that will get your audience asking you more about your business. Alright, the inviting process is way down the sales funnel because you can't position yourself as a distributor of your company right up front. Simply speaking, you should never tell your prospects right upfront about the company you are in (unless you've earned their trust). They will do their research online, and you know that there are already so many negative reviews about your company. Thus, the odds of your prospects joining you is close to zero. So if you want to invite people into your business, you have to send your prospects through the automated sales funnel as we've discussed above. This process will get people to like, know, and trust you, and when you have earned their trust, that is when you start inviting people into your network marketing business. And, the best part about sending people through this sales funnel is that you can earn money from your prospects even if they don't join your business. 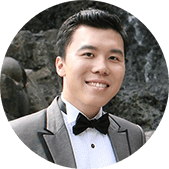 This Bootcamp will show you how you can do that, and that's the beauty of automating your business online. So, these are the 5 elements you need to automate your network marketing business. I hope these all make sense to you, and I hope that I have delivered what I've promised at the start of this article. If you have any questions or you are not clear about any aspects of this article, feel free to leave a comment below, and I will get right back to you. I hope that with the information I've shared, you can apply it to your business. So to bring across the information to you more effectively, you can take advantage of this free 10 day online recruiting Bootcamp. The Bootcamp will dive deep into the concept I've talked about above. If you are interested to learn more, click here. Thank you so much, and I hope that you've enjoyed reading this article! I'll be forever grateful to you if you share this article (that is if you find this information worthy)! Grab Your Free 10 Day Online Recruiting Bootcamp! NO MORE PROSPECTING Friends and Family, you'll learn how to attract the RIGHT people into your business. NEVER LEAVE YOUR HOME for another home party or meeting. Build a SIX FIGURE Network Marketing Business from the COMFORT OF YOUR HOME. Please enter your name and your best email and click the button below to gain instant access.